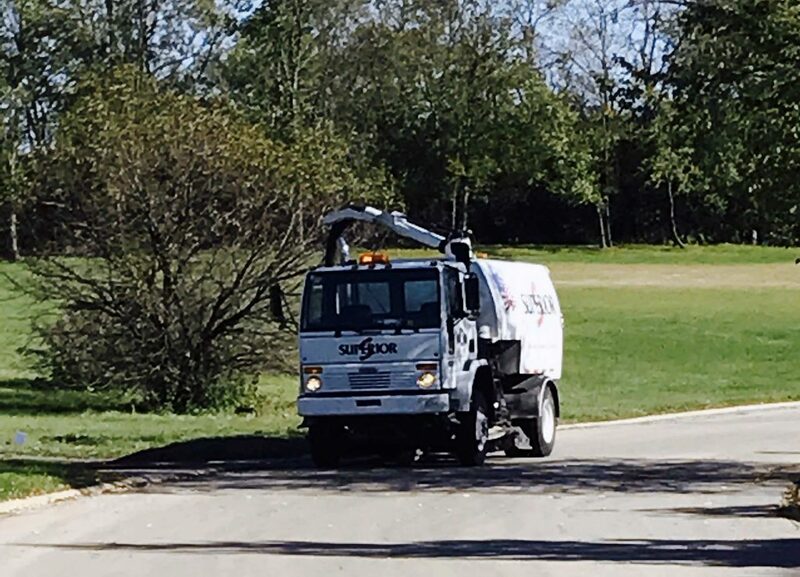 Municipal Sweepers | Welcome to Superior Contractors Chicago: "The Name Stands For Service"
Most Municipalities, Street Superintendents, and Home Owners Associations recognize the value of street sweeping. Clean streets are safe streets, and they enhance property values and promote community pride. Street sweeping extends asphalt life, reduces clogged storm drains and sewers, and combats fugitive dust. Street sweeping has both an economic and environmental impact on our communities and neighborhoods, but can city planners and home owner associations struggle with how to best provide street cleaning service while holding the line on rising maintenance costs. At Superior Contractors, we share your desire to be good stewards of the Earth. Preventing storm water contamination and fugitive dust control not only demonstrates a commitment to the environment, but also keeps your community in compliance with local, state, and federal environmental regulations, and eliminates the costly fines. Clean streets, county roads, and locally maintained stretches of freeway promote community pride while preserving and protecting the environment. If rising capital equipment and labor costs associated with your current street sweeping program are a concern, it may be time to consider an outsourced solution. From on-call hourly power sweeping to establishing service on a contract basis, Superior Contractors offers a dependable, value oriented sweeping solution. Need Power Sweeping Services? Give us a call at 708-923-1700 or use the form on this page. When you contact us to learn more, we can answer your questions and get you on our project estimate as soon as possible.